I have never made a ham before, partly because of the nitrites and nitrates typically found in ham (I try to avoid these because of their connection to cancer). So, when The Organic Box started carrying meat from Serben Organic Farm (who became certified organic relatively recently), I was excited to try one of their hams. 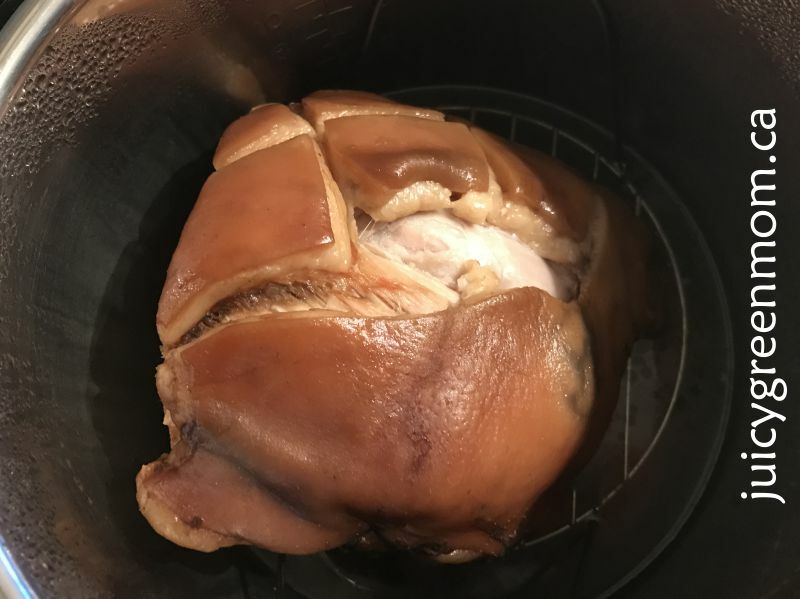 I’ve made beef roasts and whole chickens in my Instant Pot before, so I was excited to try making a ham in it! I put apple cider vinegar and water in the bottom of the Instant Pot insert, as well as some peppercorns. Then I put the ham on the rack and put it into the insert. I set the Instant Pot on high pressure for an hour and a half. Here’s what it looked like after the cooking time. Cutting into the ham, I found it suuuuuper nice and tender! Here it is all sliced up! 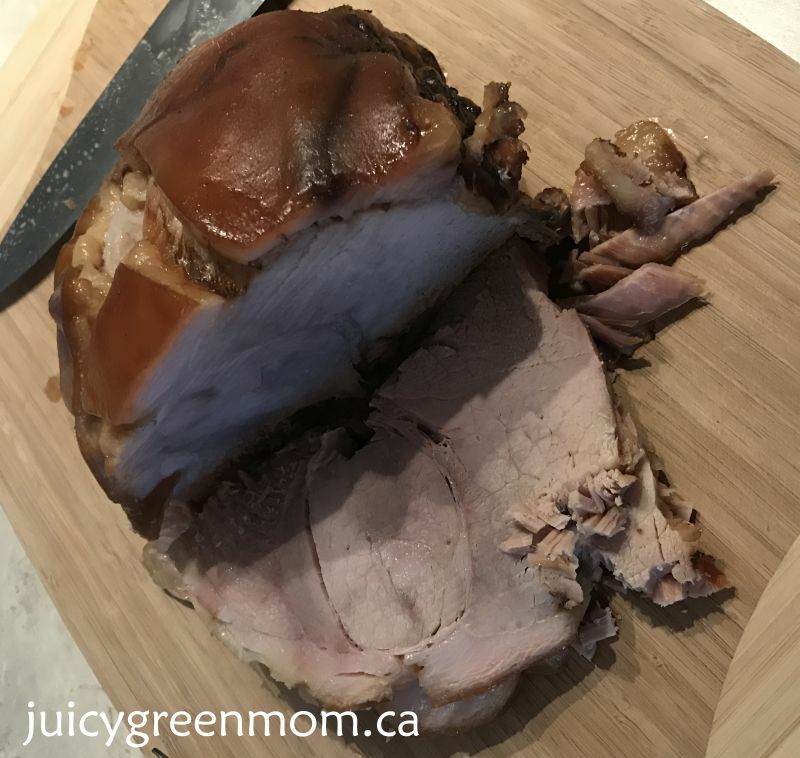 The Instant Pot makes this organic roast ham really easy and fast to make - with exceptionally tender and moist results! Pour the water, apple cider vinegar, and peppercorns into the bottom of the Instant Pot insert. Place the ham onto the rack and place it into the insert. Set the Instant Pot to pressure cook on high for 1.5 hours. When it's done cooking, and the pressure has released, check the inside temperature of the ham to make sure it's 140-150F. 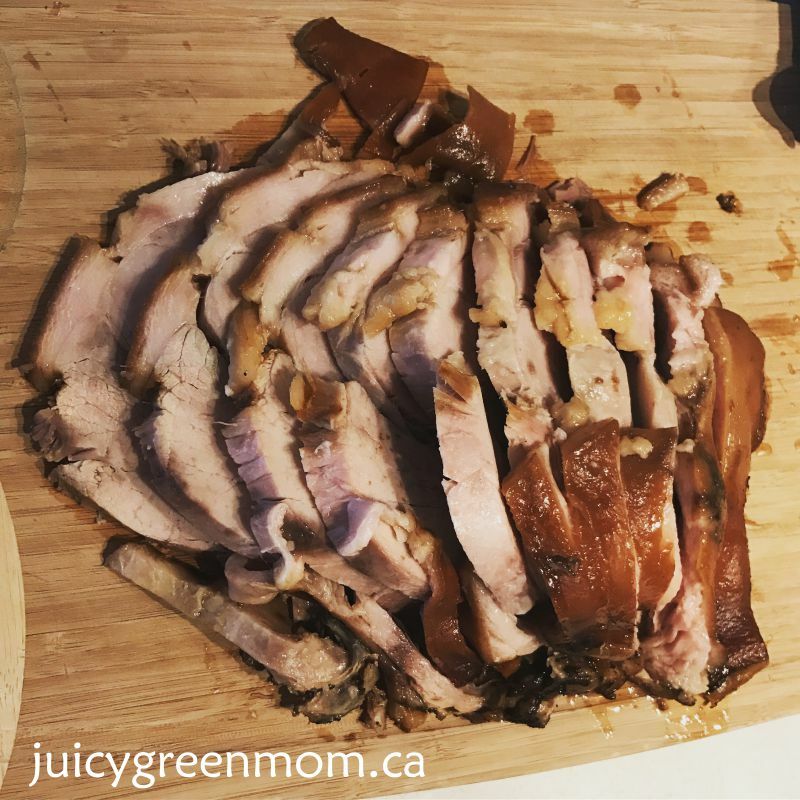 Note: The end result was closer to a pork roast than a traditional ham, and it was soooo delicious! Want to try this recipe with a delicious organic ham from The Organic Box? Use my promo code GREENMOMS to get $20 off your first order of $50 or more with The Organic Box! 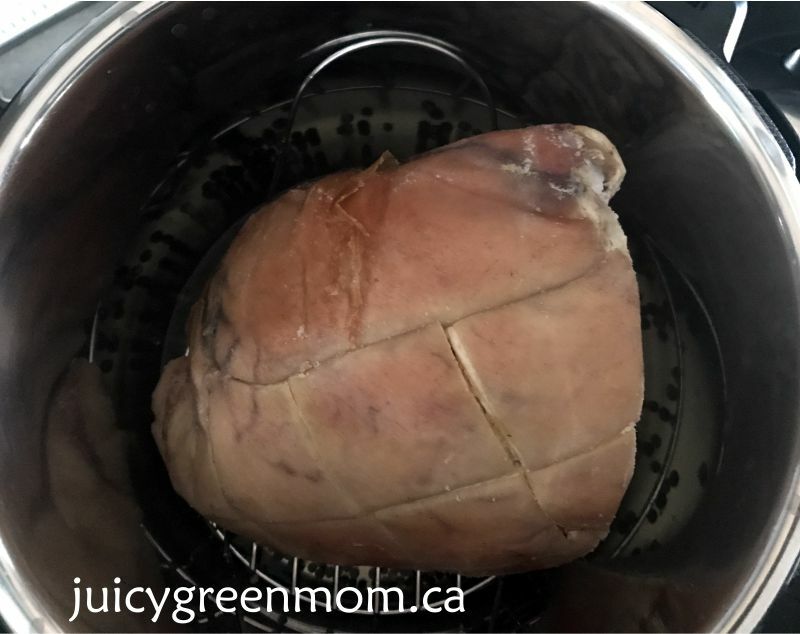 Will you try making an organic roast ham in an Instant Pot?